The FIRST® Robotics Competition (FRC®) stages short games played by robots. The robots are designed and built in six weeks (from a common set of parts) by a team of high-school-aged young people and a handful of engineers-Mentors. The students program and remotely control the robots in competition rounds on the field. The FIRST Robotics Competition Regional events are typically held in university arenas. They involve 40 to 70 teams cheered by thousands of fans over three days (two days for District events). Join us on April 13th, as local FIRST Robotics Teams promote FIRST robotics and science, technology, engineering, and mathematics. Explore various informational booths, including ones on FIRST, FLL, Safety, and Careers in STEM. There, you can participate in selective robotic demonstrations. Family Science Day is a public outreach event to educate and inspire K-8 students in the fields of science, technology, engineering, and mathematics. This family-friendly event encourages scientific discovery through hands-on activities, challenges, and demonstrations while providing the opportunity to learn about scientific careers from actual research scientists and science educators. In addition, the event helps to raise awareness of the importance of STEM in our society. 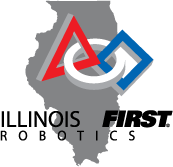 This year's event will focus on Robotics and will feature the Central Illinois Robotics Club Bot Brawl 2013 tournament. Regional tournaments are held approximately 7-9 weeks after the regional workshops. During that 7-9 week period, students build, program and document a pair of autonomous robots to compete at the tournament. This statewide event is an opportunity for youth enrolled in 4-H robotics to demonstrate their learning, celebrate their accomplishments, and interact with others who share an interest in robotics.